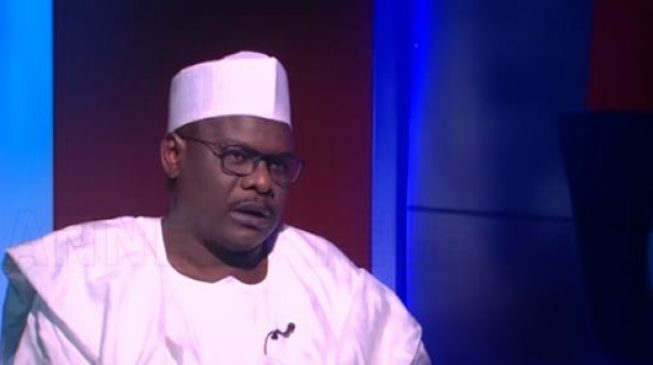 Last- minute attempts by the National Leader of the All Progressives Congress, Asiwaju Bola Tinubu, and other party leaders to pacify Senator Ali Ndume to drop his bid for the Senate presidency may have flopped. However, a senator told one of our correspondents on condition of anonymity on Saturday that a group of Pro- Lawan senators- elect who travelled to Maiduguri on Friday returned to Abuja on Saturday evening without achieving their mission. He said the group of senators had planned to meet Governor Kashim Shettima, also a senator- elect , but were disappointed when they could not meet with him. The senator said, “The governor, who was probably aware of the Pro - Lawan senators’ visit, travelled out of the country before their arrival. Further findings revealed that the pro -Lawan senators returned to Abuja on Saturday evening. Shettima, who is from the same state with Ndume , is believed to be one of the major backers of the former Senate leader for the position. The pro- Lawan senators- elect would have used the opportunity of their visit to convince Shettima on the need to respect the choice of the party by supporting Lawan. Some of the senators- elect on the trip are Abdullahi, Bala Na ’Allah, Jibril Barau , Ifeanyi Ubah, Opeyemi Bamidele, Adamu Aliero, Adeola Olamilekan and Musa Sani.